Airport Madness 2 was always meant to be a casual game, the kind you might play to fill the minutes of a coffee break. You might play it while eating a bag of chips, while listening to your iPod, or while bouncing a one-year-old on you knee. Airport Madness 3 however, has a more serious mood. You will need to put your chair in the upright position. Airport Madness 3 “brings it”. It is for those who couldn’t get enough of AM2, and have a strong interest in the world of air traffic control. When you build a sequel you really must offer up something new, otherwise your product runs the risk of being dismissed as simply “more of the same”. We wanted to brag about more than simply offering two new airport layouts. AM3 is more complex. It has a different feel. The pilot voices obey real-world ICAO phraseology. Your control options include runway assignments, 360-degree turns, downwind leg extensions, and full speed control. The resolution is massive. AM3 runs the risk of driving away those who are merely looking for something light and simple. But if you’ve mastered AM2 while blindfolded with your hands tied behind your back, by all means sign up for our newsletter to be the first in line for Airport Madness 3 this June! This entry was posted in air traffic control games on April 21, 2010 by admin. When I was fourteen, I was introduced to the game of Chess. At first glance, I thought the game seemed like a waste of my time. I would never figure out the subtle differences between all of the various pieces. I would never brag about such activity to my friends at school. “Dude, I totally check-mated my brother with my rook yesterday!”. However, I quickly fell in love with the game and a lot of my friends at school did, too. The game of Chess is similar to air traffic control games and simulations because of how addictive the play action is. Managing a whole bunch of airplanes on a radar screen truly is one of the more interesting things you could ever try doing. It is such a mental rush to be responsible for thousands of lives at once, all of them hurtling through the troposphere at over 500 miles per hour, in a seemingly archaic fashion. 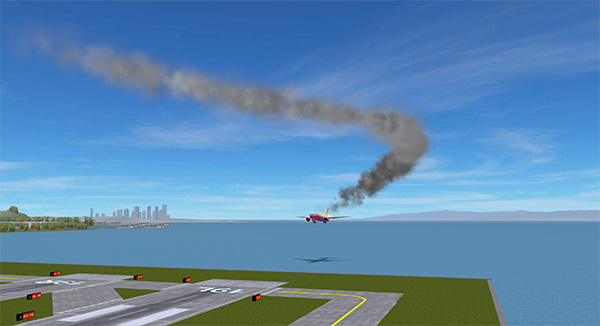 Unlike air traffic control games or simulations, in real life the bottom line is safety. We don’t “push tin” like they do in the movies. Instead, we “cautiously manage said tin in an organized manner, as though our very lives depend on it”. Air traffic control provides the world with a fantastic concept for potential new games, and this has yet to be truly explored by game developers. All of the popular classics like Risk, Monopoly, Checkers and Chess offer the same intellectual challenges as ATC does. What the casual game community lacks is an ATC game that invites everyone to the table to play. 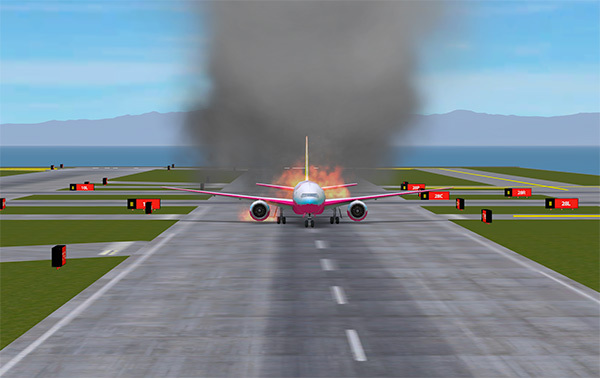 My mother tried our game Airport Madness 2 and really got into it, but she could not grasp our simulation. The world needs a radar game that starts easy and then builds, not just by intensity, but in complexity as well. It is my vision to develop a radar-based game similar to Air Traffic Controller that maintains a reasonable degree of realism yet is simple enough for anyone ages 6 and up to jump in and start playing, without requiring 12 months’ training at an ATC institute to even get started. 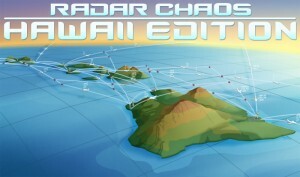 I envision such game consisting of a variety of radar puzzle-like challenges. For example, one challenge may be to carefully vector numerous aircraft through a complex maze of terrain, and another challenge may require using only speed control to funnel enormous volumes of air traffic into an arrival stream for a busy international airport. We may be getting rather ahead of ourselves, as we are still assembling Airport Madness 3, Airport Madness Mobile for iPhone, as well as a 3D version of Airport Madness from a tower perspective (no release date on that!). I’d like feedback on our proposal for a simple “puzzle-style” radar game. Please feel free to email us directly with your thoughts. 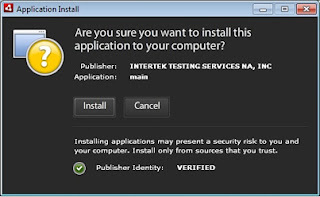 This entry was posted in air traffic control games, radar simulations on March 14, 2010 by admin.